Nowadays, the most of disease treatment researches goes with the DNA technology rather than traditional chemical treatments. In living beings all metabolisms are controlled with DNA information. Therefore, by controlling the DNA information within the cells, it can be easily control the all metabolism pathways of a living being. This technology goes with targeting DNA. The researches in Massachusetts Institute of Technology were able to develop a modular system of proteins that can detect a particular DNA sequence inside the cells. Also that system can do specific response inside that cells. This innovation may be a first step for a better cancer treatment. According to James Collins, the Termeer Professor of Medical Engineering and Science in MIT, this modular system build with DNA-binding proteins known as zinc fingers. These proteins can be designed to recognize any DNA sequence. They used this protein for build a system for produce green fluorescent protein (GFP) inside cells that infected with adenovirus. In addition to the zinc finger proteins, researchers used protein known as an “intein”. This protein unable to function when split into two half. The split protein pieces, called as “exteins,”. In this module they modified the zinc fingers to identify the DNA sequence of virus that adjacent to the targeted gene and the zinc finger proteins jointed with exteins. After the identification of target DNA sequences, the module allowed the extein halves to rejoin and form a green fluorescent protein protein. So the cells infected with virus glow with green colour after this targeting DNA treatment. According to this scientists, like this module you can potentially evoke any response that you want inside cell using targeting DNA. In addition to this module MIT researchers have also deployed this system to kill cells by linking detection of the DNA target to production of an enzyme called NTR. 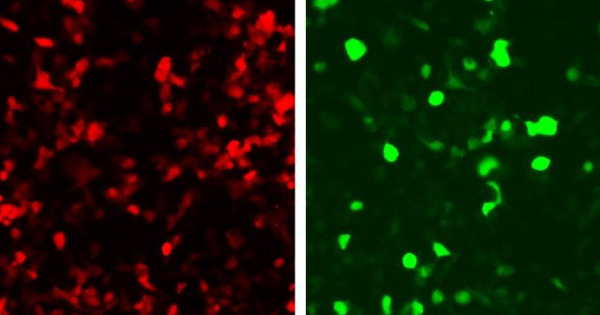 By targeting cancerous genes, it can be develop better cancer treatment methods. As the extending of this research they are developing a system to detect latent HIV proviruses. The latent HIV proviruses are the major barrier to avoid with HIV AIDS. Like this this targeting DNA method may be the major research tool for future medicine industry.